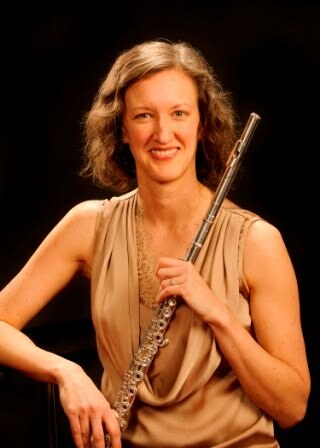 Nicole Riner, flutist: New Year, New Projects! Every year I swear I won't fall into the trap of making a new year's resolution I either a)can't keep b)don't care enough about or c)find no challenge in keeping. But then the frenzy of self-improvement articles comes out on January 1 and I get sucked right back in, and you know what? I'm not going to apologize. Constant growth is what we're all about in classical music, so it makes sense to me. How boring to just keep droning on with the same old habits and tasks without end! I also have the advantage of an almost completely empty January, between the lack of gigs (fine by me after December!) and University of Wyoming's very late start date, making this the perfect time to reflect on my accomplishments from last year and dream up something big for 2019 (or maybe more than one something). Even if you only have a weekend off, I hope that you will, too, and undertake this exercise with a positive spirit and the knowledge that you are improving upon past deficiencies every day for your entire life. If you already have a Big Project in mind, you're lucky! Now all you have to do is devise a step-by-step plan for tackling the details and go fearlessly forward. But what if you're still searching for the inspiration to develop that brilliant creative idea? Some things help me when I'm stuck, and hopefully you can choose what works for you from this list to get unstuck, too. Listen to Yourself. You may not have an idea of what you'd like to do next because you're burned out, exhausted, or just not currently inspired. Don't force it. Your brain needs a break now and then, and you want the idea that finally comes (it will) to be truly organic and meaningful or it's not likely to be successful, anyway. So, just wait. Binge watch some Marvelous Mrs. Maisel, cook a bunch of soups and casseroles, rearrange the furniture, whatever feels satisfying right now. When you start getting bored, you'll know your brain is about to kick back into creative mode. Reflect. Ideas don't come fully formed--at least, they certainly don't for me! They occur in bits and pieces, beginning with personal interests and usually morphing into the solution to a problem. That's just me; I can clearly see at this point in my life that most of the projects I develop are heavily service-oriented in some way. What is it for you? Reflect on old projects you loved (whether or not they were successful at the time) and look for a theme. What do you offer as an artist/teacher/organizer/etc.? Get to know yourself through your past work. Take Notes. I still find myself returning to physically writing on pieces of paper or a beautiful journal, but you can do this on your phone, tablet, or laptop, too. Scribble down any ideas you have, and just take your time collecting these seemingly random thoughts for your chosen period of a time: a week? two weeks? Again, don't force it. Then step back and look for patterns and commonalities. Slowly, you are creating a flow chart for your next Big Project. Take a Walk. When you're surrounded by notes, all of your electronic devices, and you feel ready to burst from being so close yet so far from a coherent thought, push away from the desk and MOVE. I love to bundle up on these cold, clear days in January and enjoy the silence of a midday walk in my neighborhood park when everyone else is at work, school, or curled up under a blanket inside. My brain might feel muddy, filled with swirling, confusing thoughts, but as I walk, things start to organize themselves and I return with a clearer idea of what to do next. Or at least a renewed sense of energy for the next round of brainstorming! Google It. You can't just recreate what someone else has done--you need an element of uniqueness to your design if it's going to succeed at all. Whether it's the title for your new ensemble, the programming for a propose album, the existence of current technique books for your instrument, scour the internet to make sure you're not just reinventing the wheel. And if you are, be glad you found out early and tweak your model to make it special to you and your perceived community. Of course, you don't have to undertake a Big Project at all; you can undoubtedly fill your days with practice, teaching, going to work, or whatever has to get done by 5pm every day. But the Big Project feeds your creative needs and allows you to interact with the world in a positive way on your own terms. It could be as simple as performing a recital in your community (well, that's not simple!) or as huge as starting a community music school in your town. And the size and scope of your project will dictate how long you spend developing every detail to make it happen. 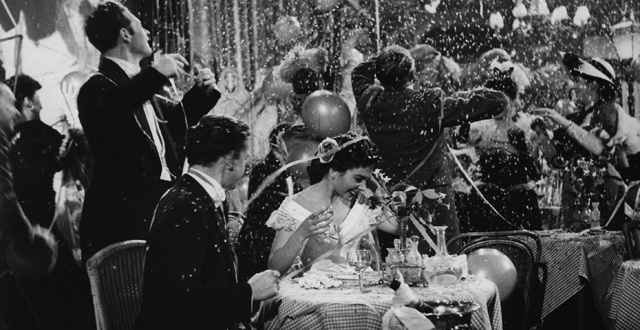 What you dream up this year might even become the most distinguishing work of your career. So, give it a go! And I'd love to hear what you're all working on if you feel like sharing; just comment below!